Spread the cost from only £80.94 a month with Interest Free Credit. 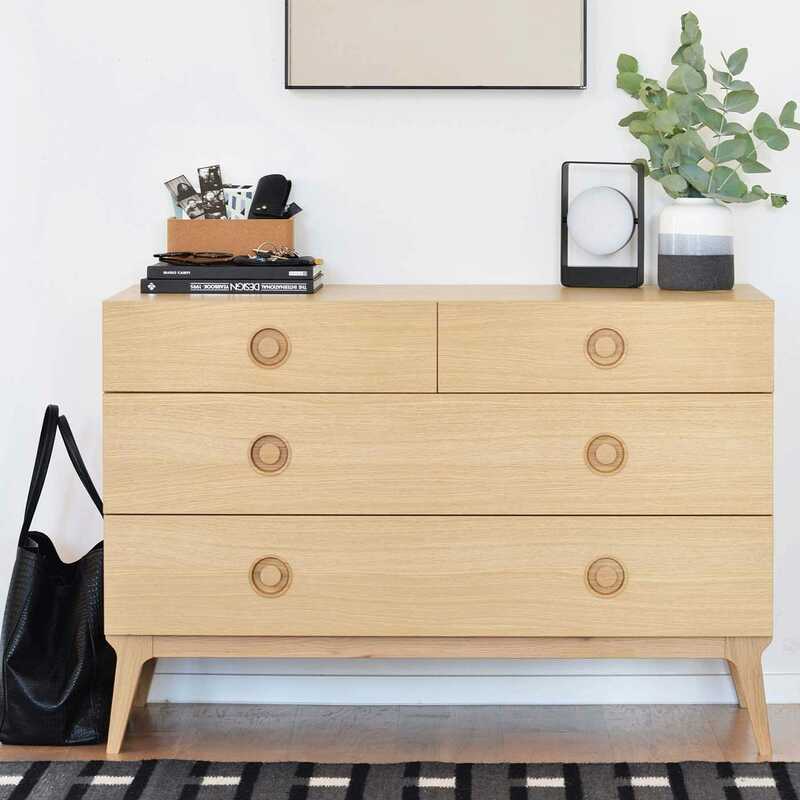 This Valentine chest of drawers by Matthew Hilton features the signature tapered leg detail of the contemporary Valentine range, which lends a visual balance to the piece. 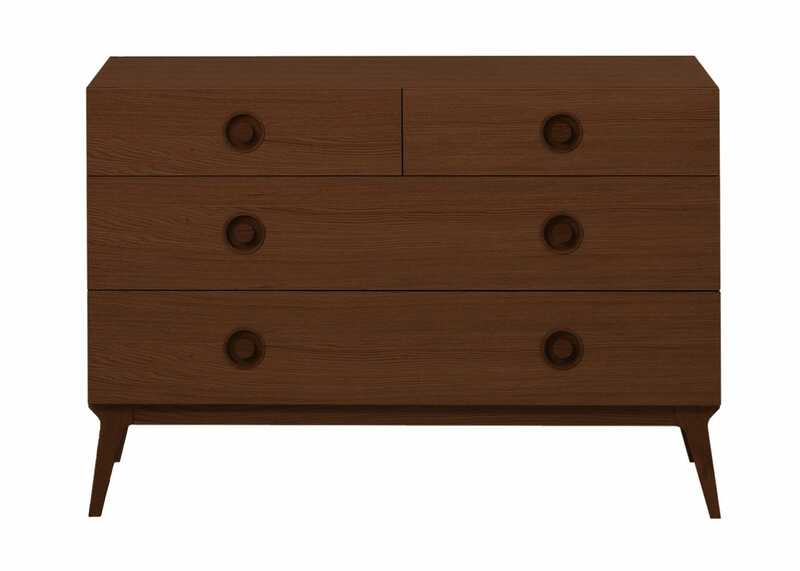 Raised up from the ground, the chest creates a feeling of space by keeping sight lines around the room clear. Additionally, it makes it far easier to clean around the bedroom furniture. 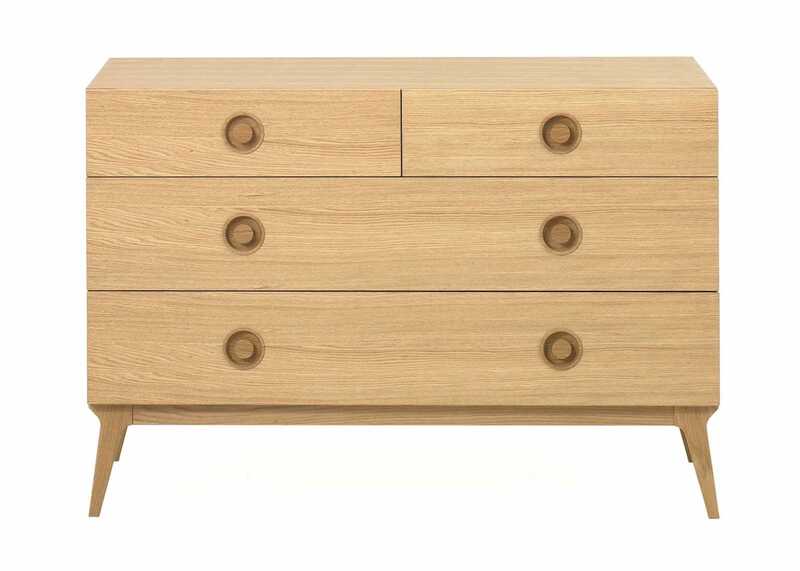 Soft closing drawers and inset-turned solid wood flush fitted handles. 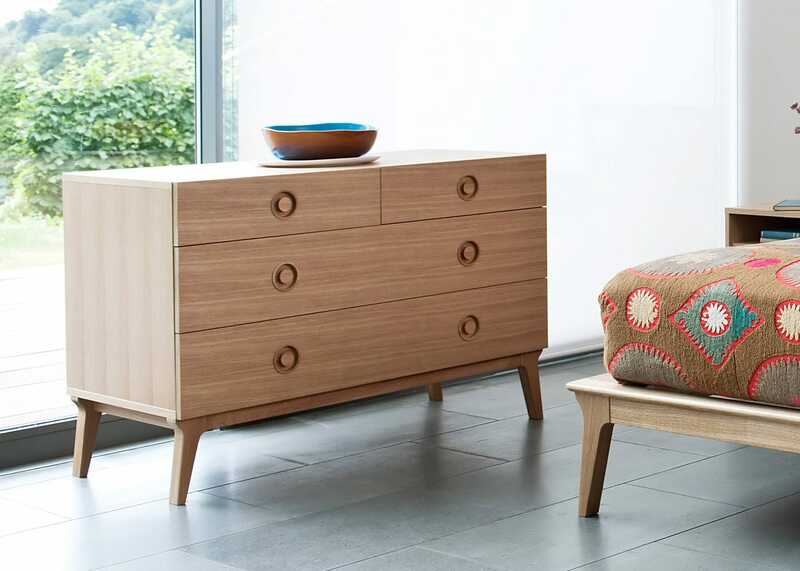 Solid oak legs, drawer internals and handles, finished in Oak, Stained walnut or Wenge. You do not need to polish the wood as part of your regular maintenance, as we finish our products with a matte, non-yellowing clear polyurethane lacquer for its natural appearance and durability.